The security that cannot be seen. 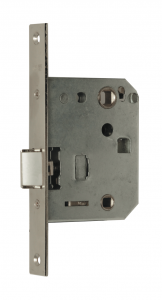 We offer a series of locks for timber doors. • Backset of 40/45/50 mm. • Distance between axles of 85 mm. • Passage follower of 8 mm. 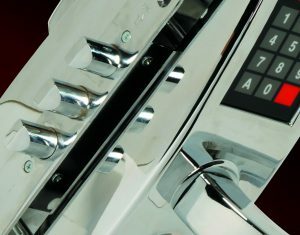 Operates the latch. • Covered box to protect the mechanism. 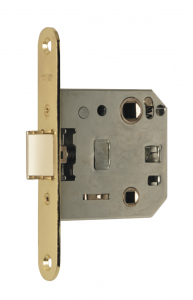 • Finishes: brass plated (LT), nickel plated (HN) and stainless steel (AI). • Passage and privacy doors. • Backset of 50 mm. • Distance between axles of 47 mm. • Passage follower of 8 mm. • Thumbturn follower of 6 mm. • Rounded or squared front plate. • Finishes: brass plated (LT) and chrome plated (CR). • Distance between axles of 70 mm.